Live Music, Pet Friendly, Games, and More! American Underground is our take on a speakeasy American sports bar with craft beers and whiskey. 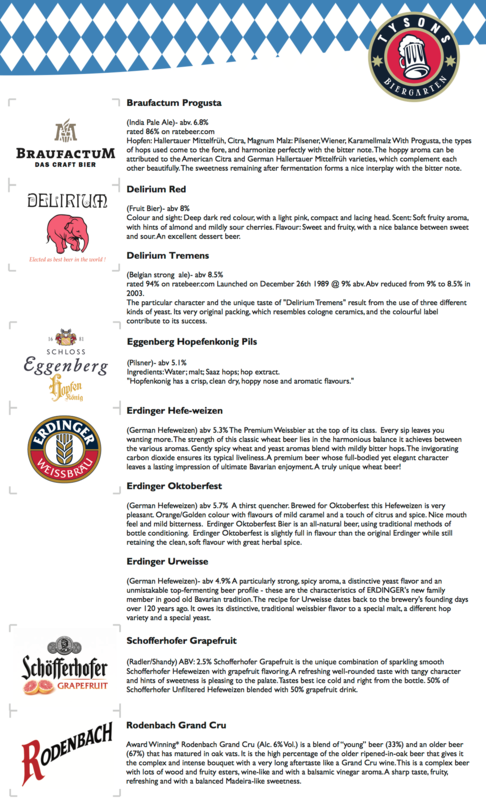 Located in the basement of Tysons Biergarten (A German and Belgian beer garden) American Underground is a fun sports bar with great drinks. A speakeasy, is an illicit establishment that sells alcoholic beverages. Such establishments came into prominence in the United States during the Prohibition era (1920–1933). During that time, the sale, manufacture, and transportation of alcoholic beverages was illegal throughout the United States. 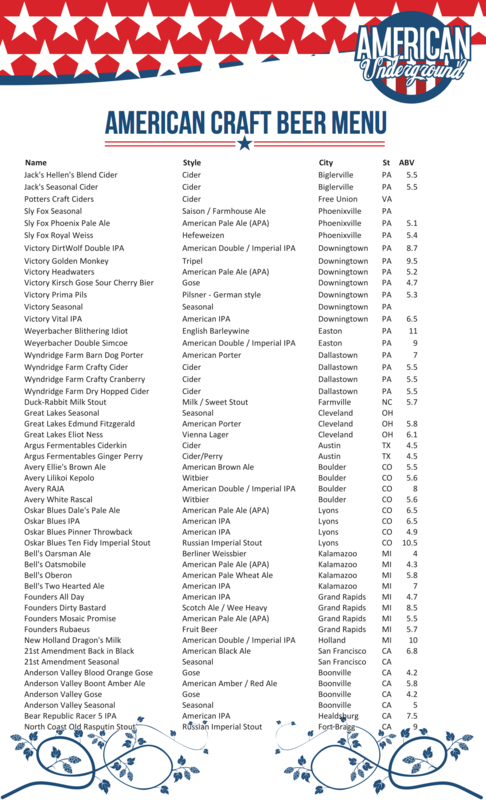 American Underground will feature 100 American Craft Beers. 50 of which are local to the DMV and 50 from across the nation. In addition, there will be 50+ different types of whiskey including whiskeys from Japan, Ireland, Scotland, Canada and America. Our underground bar features paintings such as a portrait of Al Capone, probably one of the most well known figures during the prohibition era. The bar has 9 HDTVs, perfect for watching your favorite team enjoying some American Craft beers and/or Whiskeys. Our upstairs is our German and Belgium beer hall also known as Tysons’ Biergarten which offers some of Germany and Belgium’s finest biers, along with seasonal specialties. We have live music 7 days a week and host festivals as often as possible. Stay tuned to see what we will have scheduled for you! Whiskey is a type of distilled alcoholic beverage made from fermented grain mash. Various grains (which may be malted) are used for different varieties, including barley, corn, rye, and wheat. Whisky is typically aged in wooden casks, generally made of charred white oak. Our menu is simple, but is made up of many bar favorites, such as pretzels, as well as a wide-range of flavorful sausages and wings. 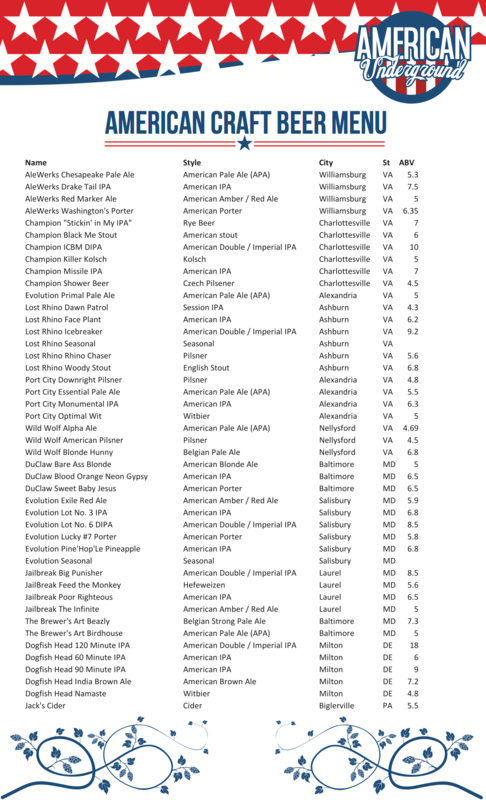 Bellow you can find our American craft beer menu. We also have 9 taps that rotates daily. 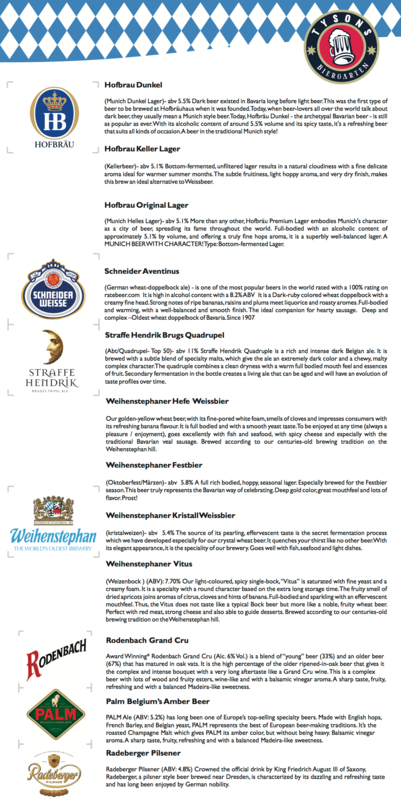 Come check out our upstairs Tysons Biergarten featuring 20 different German and Belgian beers on draft. 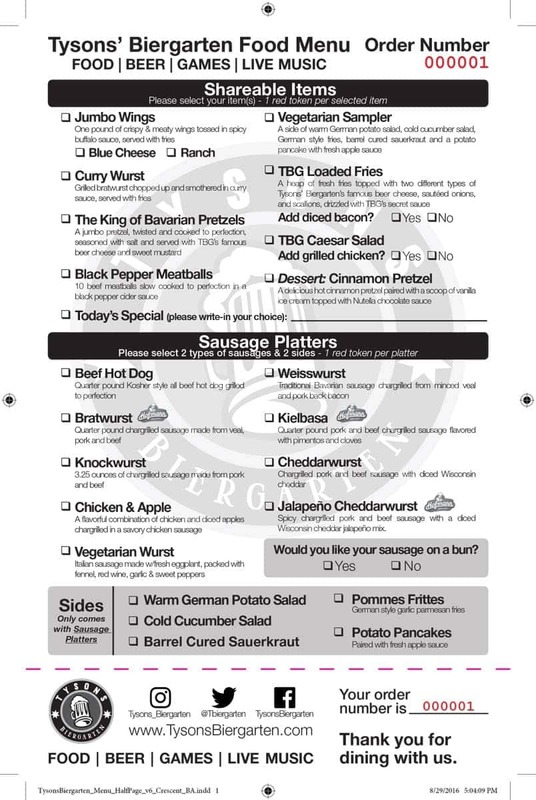 Our menu is simple, but is made up of biergarten favorites, such as pretzels, as well as a wide-range of flavorful sausages and wings. Click here for our food menu. Click HERE to view our menu photo album. Renowned local vineyards, as well as German vineyards, provide our distinct selection of wines. This gives each guest a chance to select from a variety of tastes and textures that best suit their meal and palate. Click here for our wine menu. Cocktails were a big part of the prohibition era. We strive our self in making the perfect cocktail for you. Click here for our cocktail menu. Click HERE to view our entire menu photo album! We apologize about the limited amount of parking spaces. We have a parking lot with about 50 spaces which is on a first come first serve basis or you can park in our garage which has 1500 spaces (we never fill the garage). Garage parking is free with validation from us and is only a 4 minute walk. We here at American Underground we want to hear from you. Feel free to either email, call or fill out the form below and let us know how to better satisfy your needs. Thank you, and we look forward to any and all feedback. ➠As you walk out of the metro ticket gates turn left and go down the stairs. ➠Take the stairs to the street level. We will be having a wide variety of events ranging from live music to festivals including bier tastings, bourbon and beer, pig roasts, wine festivals, sports and more.